[Studio Report] – Record the UBass using mics! – Part 2 – Play UBass! Ok. Let’s listen to, and talk about, four of the five microphones I talked about in the previous post. What microphone you prefer can depend on quite a few different things. • Solo UBass, duo settings or in a dense mix? If you want I can upload more sound files to let you hear the different combinations with the added ‘lined-through-my preamp’ sound! @BachTeen1 Sorry you didn’t get much out of the test 😦 My goal was to do this test in a musical context that’s why I choose to play to a backing track. Putting the mic closer is of course an option but I thought this was close enough for my purpose. Did you listen using ‘good’ full range speakers or headphones? Not using the piezo was deliberate since I wanted to see/hear how the Ubass sounded without it. When I record the acoustic Ubass for a project I almost always use the piezo through a good preamp (RMI Basswitch) together with a miked cab or a large condenser mic. Then I will blend these signals/tracks in the mix or sometimes only use the piezo. 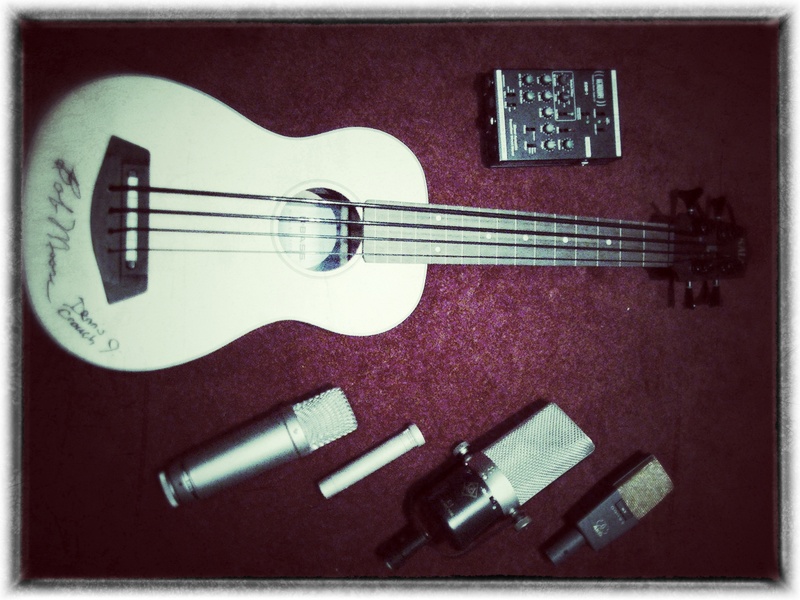 Pingback: [Studio Report] – Record the UBass using mics! – Part 1 | Play UBass!